It may be the Old North State, but North Carolina sure knows what's new on the food scene. Sophia Woo and Sunny Lin opened this Asian-inspired food truck in 2014, and they've been amassing fans throughout the Triangle area ever since. According to Sophia, the two women "were inspired to open the truck to share our love of food in a fun and approachable way." And it worked! 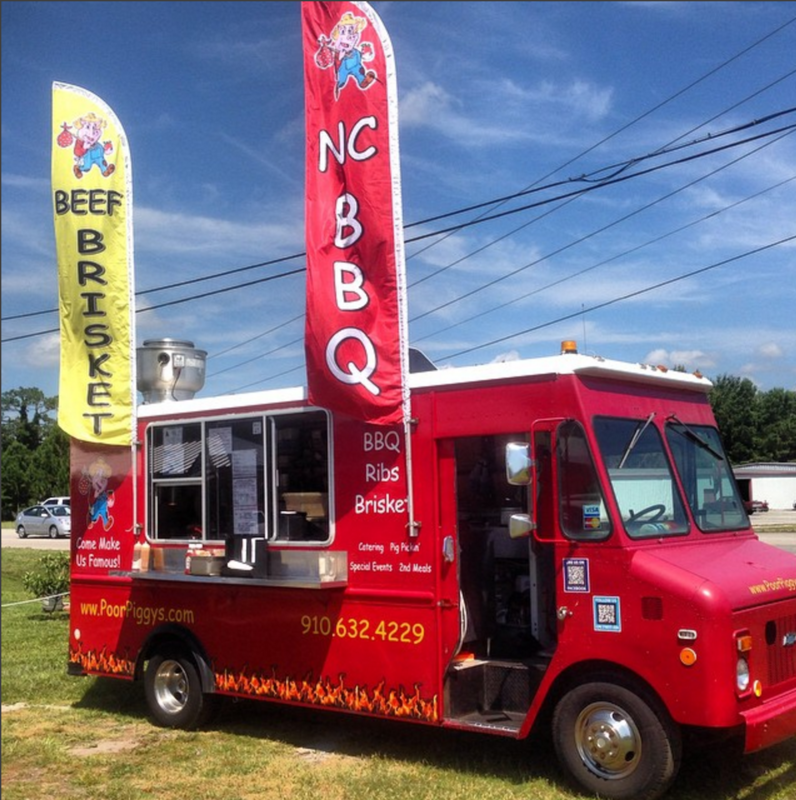 The two repped NC and won Season 6 of Food Network's The Great Food Truck Race in 2015! What's good: "Our specialties are dumplings and pho, but we also have creative and less-traditional items on our menu like our Cheerwine Bulgolgi Sloppy Joe (pictured above), and Corndog Banh Mi!" When Poor Piggy's pit master Ed Coulbourn III left the real estate business to cook bbq, it was his daughter who coined the name of his new franchise. "When she was about 4 years old she saw me cooking a pig one afternoon & said 'poor piggy, daddy, poor piggy.'" Now Poor Piggy's has won numerous awards for its smoked meats, including Best Judged Ribs at the 2015 Berea Ohio's National Rib Cook-Off, the 2015 Canada's Larges Ribfest and the 2016 Twin City Ribfest, where it also won the title "Grand Champion". What's good: Poor Piggy's smokes its meats on 100% eco-friendly wood pellets. 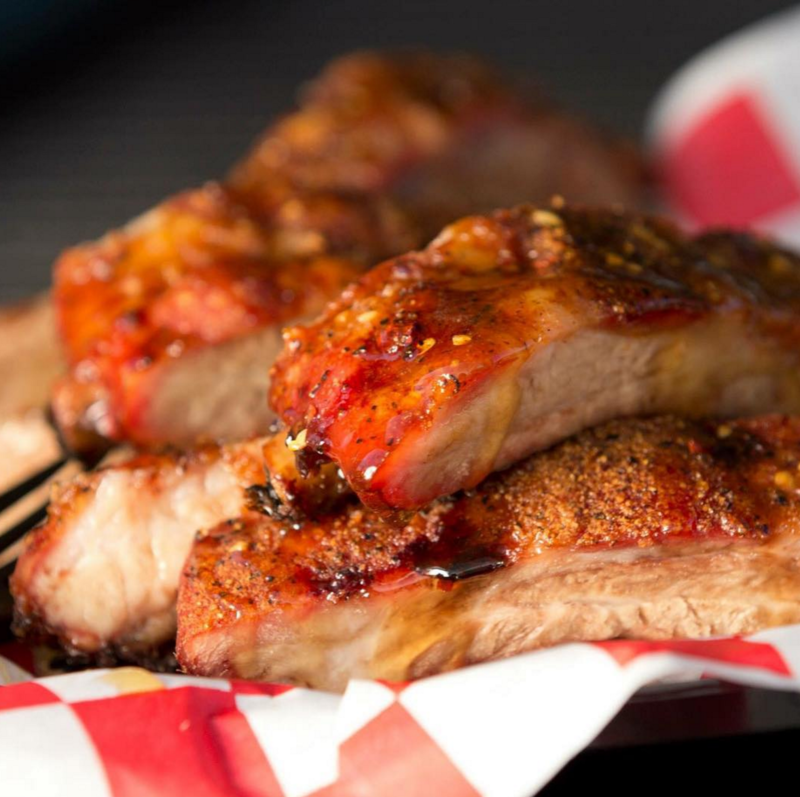 Their most popular items are the honey drizzled ribs, pork bbq, and pork brisket. Chef Kris Fuller has earned multiple awards, including “Best Chef in Greensboro,” “Best Chef in the Triad,” and “Best Restaurant.” And it's no wonder — she's got 15 years of culinary experience, a vast knowledge of diverse cooking styles and techniques, and two other successful Crafted eateries. Fuller and longtime employee and friend Matt Vetter "recognized the growing desire for affordable and reimagined fare from around the world." 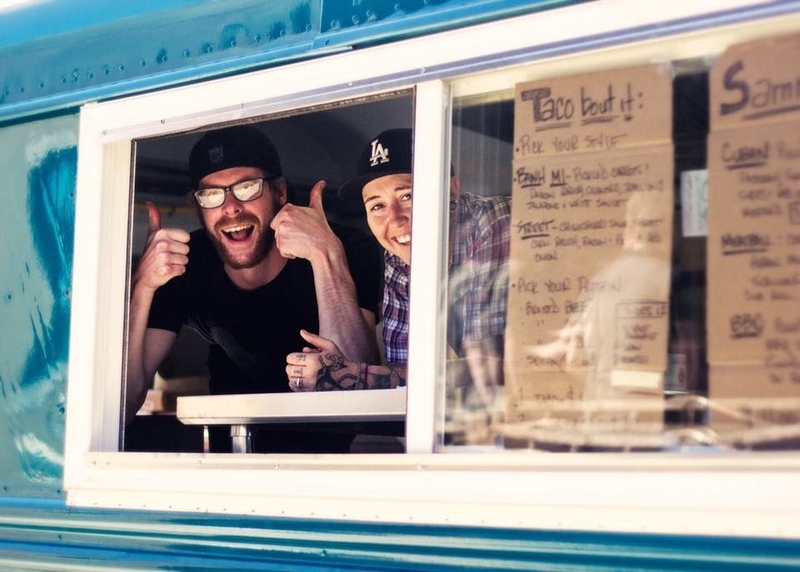 Thus, the Crafted Food Truck was born, blending the menus of both restaurants and serving delicious eats in taco or pressed-sandwich form. What's good: anything on the menu. It's all made from scratch using fresh, local ingredients, with homemade sauces and items that will surprise and delight. Scott Tang spent most of his life preparing to take over his parents' business, Tokyo Express, in Salisbury, NC. He'd been involved in the family restaurant since 2000 and had enrolled in a Hotel Restaurant Management program. But a bad motorcycle accident in 2010 diverted his plans. After miraculously surviving the accident, he and his wife made the decision to invest in themselves. In 2013, the two found out they were expecting their daughter, Sydney, married, and opened Yummi Banh Mi. "It has been a crazy ride these past few years, but I wouldn’t have it any other way. We strive to bring the good people of Charlotte the best, and I intend on staying here for the long haul." What's good: "Our signature item is for sure the Vietnamese BBQ Pork! Try it on the banh mi, a nicely toasted eight-inch French baguette, or the Vietnamese rice bowl — we highly recommend adding the fried egg. We also serve it on our Yummi Tacos!" Danny Wilcox, the director of operations at Appalachian Mountain Brewery, Inc. and Farm to Flame, says the concept behind this food truck is a simple one: support local food providers. Every month, Farm to Flame collaborates with a new farmer, making recipes that use ingredients sourced from that farm. "Then, at the end of the month, we donate 10% of our sales back to the farmer." The end result is a continued sustainable food network in the beautiful mountain town of Boone. What you should get: whatever's on the menu that month! Chef and owner RJ St. John, who recently appeared on the Food Network, opened Mama's Hot Chicken after an inspiring trip to Nashville with his restaurant partners. Upon their return, the Durham-based team opened the Triangle's only Nashville-style hot chicken food truck. Any meal can be customized, from plain to Flaming Hot. "And to keep our vegetarian friends in mind, we also offer a tofu option, which is marinated in our house-made pickle brine, then fried and dressed just like our chicken!" What's good: During lunch, the tenders platter is most popular. At the farmers market, it's the chicken biscuit. After 10 years in Philly, owner Zach "Zeke" Firestein moved south to NC to share the sandwich he'd perfected — not the cheesesteak, but the roast pork. 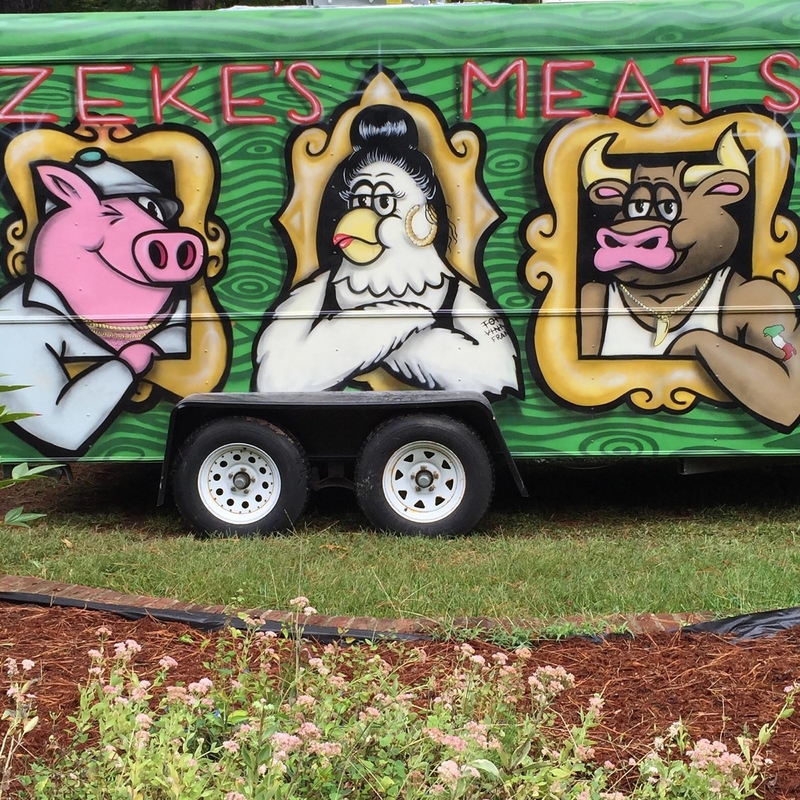 Zeke's Meats prides itself on scratch cooking using thoughtful execution and quality ingredients including seasonal produce sourced from the State Farmers Market. "Our food is always simple and approachable, but as you eat, you can really taste the effort, thought, and love that's put into every element." 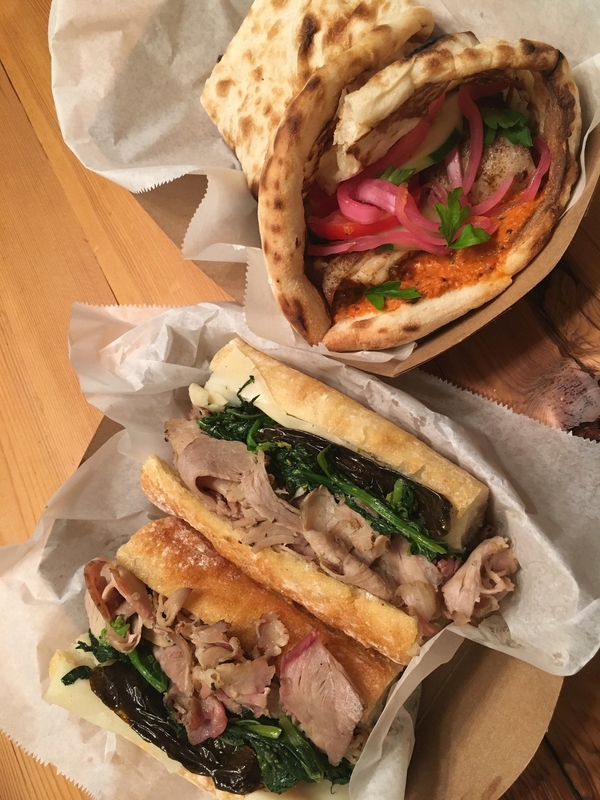 What's good: "The roast prok with broccoli rabe, sharp provolone, and long hots is definitely the most popular item." Other faves include zaatar chicken with cucumber, tomato, pickled onion, and romesco, and the house-cut fries with garlic-rosemary aioli. Steven and Stephanie Paulson moved to NC from Wisconsin 10 years ago. Armed with a culinary degree (his) and a small business degree (hers), plus a shared love of beer and cheese (naturally), the husband-and-wife team decided to start a business together. 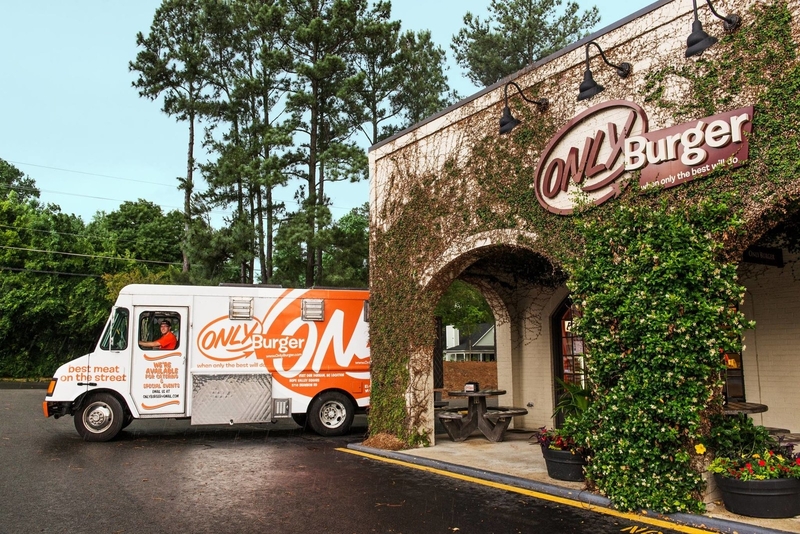 Cut to: four years later, and their grilled-cheese food truck has been named "a top-three food truck" in the area by Mountain Xpress. What's good: Steven and Stephanie "use local organic bread, all sorts of cheese varieties, and real butter to create perfectly toasted melts. Pair that with smoked turkey, ham, bacon, or our tuna salad for one of the tastiest melts around." Melt Your Heart regularly parks at New Belgium Brewing Asheville, one of the most popular breweries in Asheville. Check their schedule here. After 12 years of restaurant experience, Andrew Dionne wanted to start his own business, a goal he recognizes is shared by many in the industry. "It's what I'm good at, it's what I know, it's what I love." So he returned to his hometown of Salisbury, NC, a close-knit community north of Charlotte. "There was a need not being filled, so I stepped up to the plate. As for the menu, I wanted to differentiate myself by tying together healthy and delicious food." What's good: Andrew says his best-selling item is the Bourbon-marinated steak with a spicy, roasted red bell pepper coulis, served on a pita sandwich. After being in the restaurant industry since he was 12, Clarke Merrell opened his own in 2010. Circa 81 became a popular destination for casual upscale dining in Morehead City, but Clarke decided he wanted to explore something "a bit more on the fun side." He and his brother bought a used truck and outfitted themselves, and in spring of 2014, Dank Burrito was born. The truck quickly gained a loyal following, with fans dubbing themselves "the burrito mafia" and "danksters." 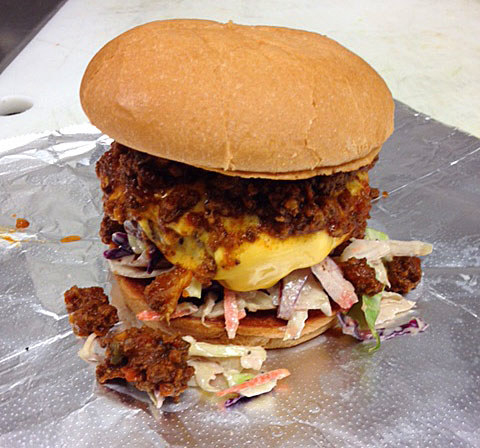 It was voted National Food Truck Rookie of the year in 2014. 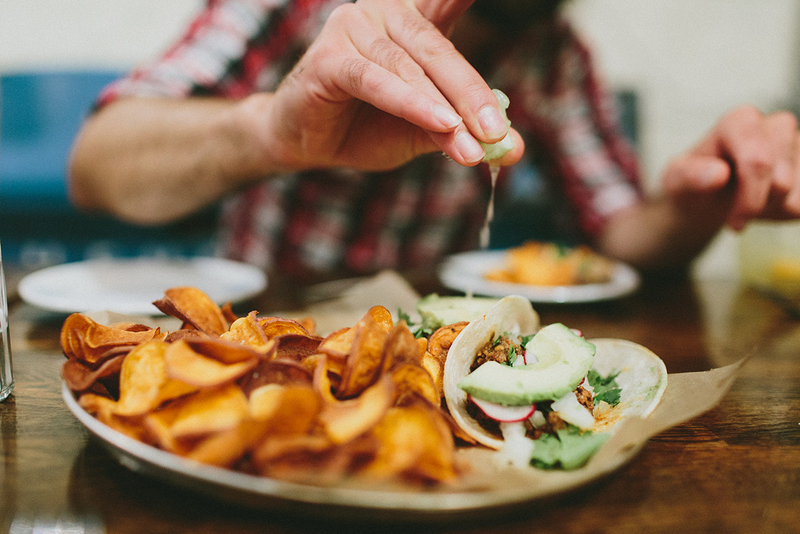 What's good: "Our most popular menu item is the jerk chicken burrito or tacos. They have a great combination of spice with the sweetness of the pineapple-mango salsa." What's good: The Only Burger (made on a local-made butter-toasted bun), the Carolina (with house-made chili and slaw), the Texan (includes house-braised brisket, an onion ring, and Sriracha mayo). 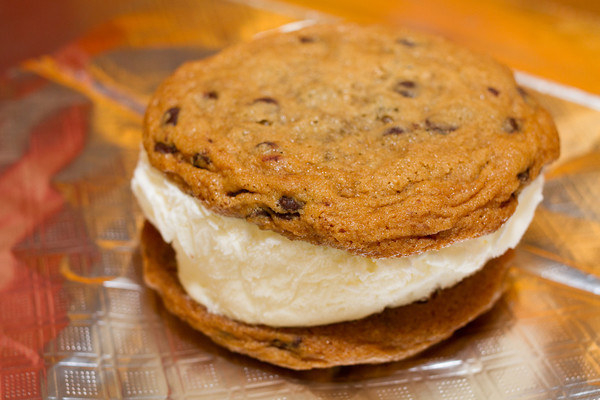 And, of course, Lisa's famous homemade ice cream sandwiches. Hungry yet? Visit North Carolina already, and get your fill (assuming you can pick a place, of course)!